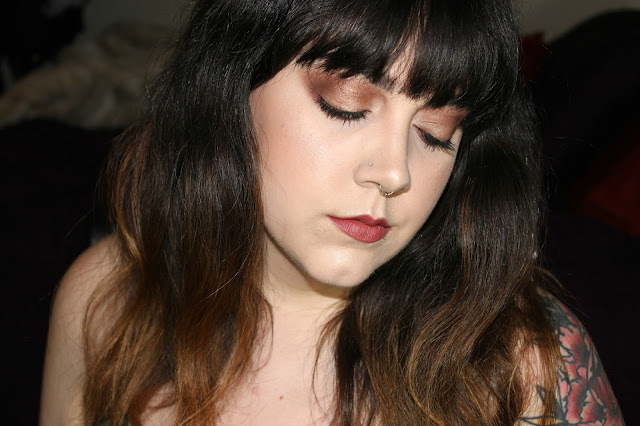 Yet again Jaclyn Hill and Becca Cosmetics have burst us all into summer with a Champagne Pop! This time the range has expanded and now includes a palette with two powder highlighters and three blushes, a Liquid Shimmering Skin Perfector, and a Poured Shimmering Skin Perfector, of course the original powder formula is apart of the launch as well. I already have the powder formula from last year and I decided I wanted the Liquid Shimmering Skin Perfector as that is one of my favorite formulas from the brand. I mix it in with my body lotion, mix it with foundations for a luminous effect, and use it to highlight with a damp Beauty Blender. For me this was the thing I was the most excited for from the range. Of course on launch day I had to pick up the Champagne Pop Liquid Shimmering Skin Perfector. I also thought I'd show swatches of the other two shades I have, Moonstone and Opal, so that you could see if there was enough of a difference for you to want to pick it up. Champagne Pop is a soft white gold with pinky/peach undertones. Opal is a golden opal pearl. The formula is just as lovely as the other shades in the range. They give a high gloss to the skin and make an amazing base for any powder highlighter on top. Withstudio style lighting it looks like a very bright highlight and in natural light has a very healthy, natural, dewy look. If you don't like a dewy look to your highlight you probably wont like this formula and I'd go for the pressed formula. Here is my full review from the original launch of the Pressed Champagne Pop to see more on that. I honestly hope they just make all of the collaboration products with Jaclyn Hill apart of the full time range. It is such a pretty, unique shade that just fills a small gap in the range as far as skin tones go. Cheers to Becca and Jaclyn on another gorgeous addition to the range. think that the shades are different enough. Tell me all your opinions in the comments! I love to hear from you! !